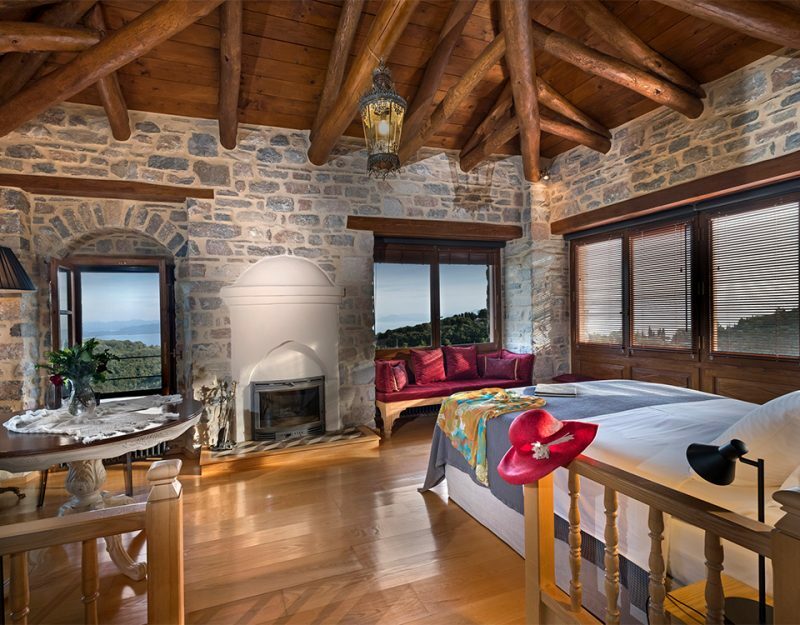 The Sakali Mansion is a luxury accommodation establishment, in the mountain of Pelion. 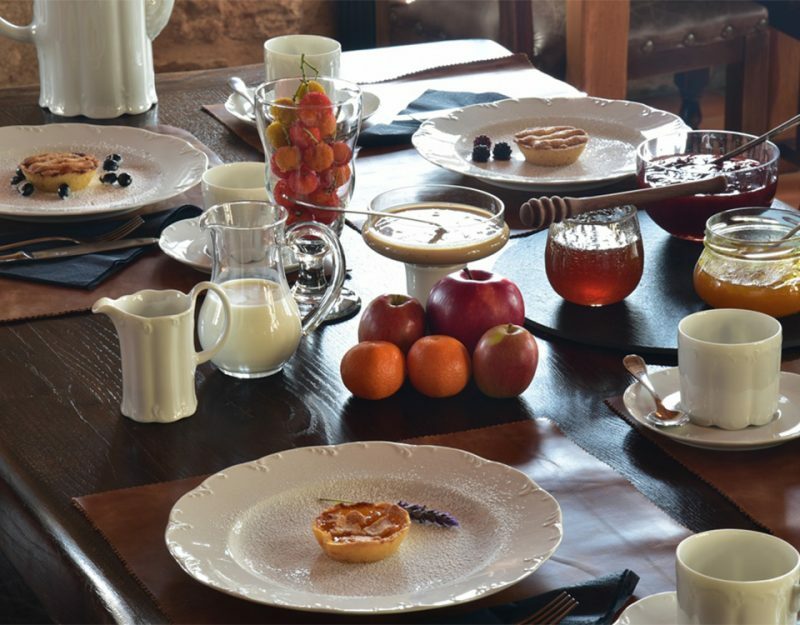 Guests are invited to relish their breakfast in a unique and exceptionally aesthetic style atmosphere. 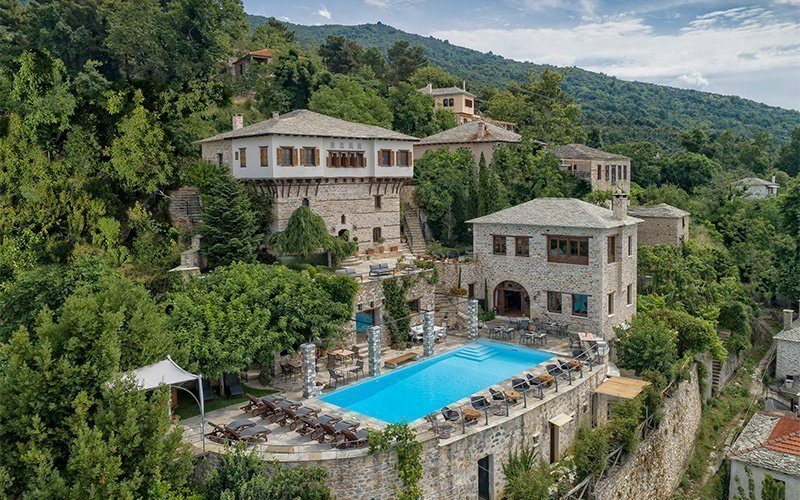 The Sakali Mansion, one of the most gorgeous traditional houses in the Greek village of Pinakates, in Pelion, is located very near the central square, 26 km from the city of Volos. Sakali Mansion was built on the 18th century according to the local traditional architectural style, having wood and stone as its main construction materials. Next to the Sakali Mansion original building, a second one was constructed in the same architectural style, giving the establishment a sense of additional comfort. 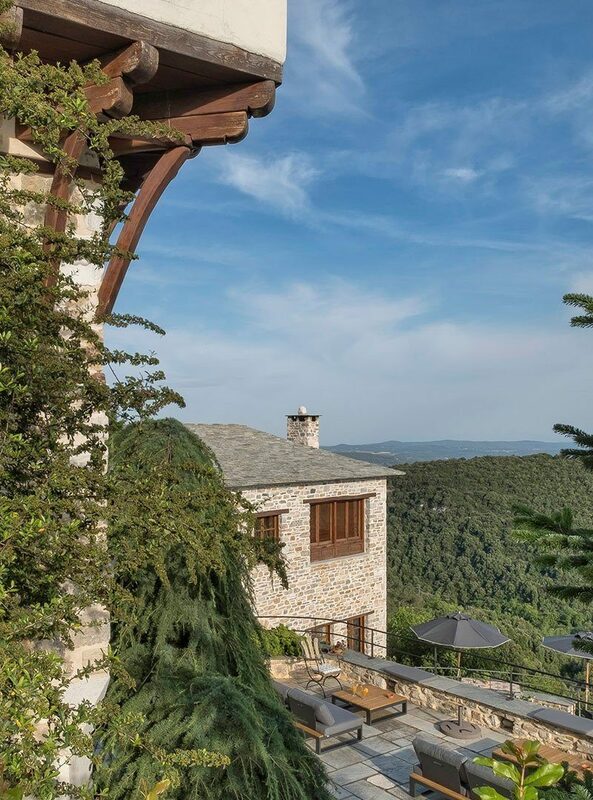 With plenty of love, devotion and efforts, the current owners, Kriton Gkouveris & Anastasia Sakali, have turned this traditional house into a stunning Mansion, ideal for winter or summer vacation, in the gorgeous mountain of Pelion, in the Magnesia Prefecture, in Thessaly-Greece. 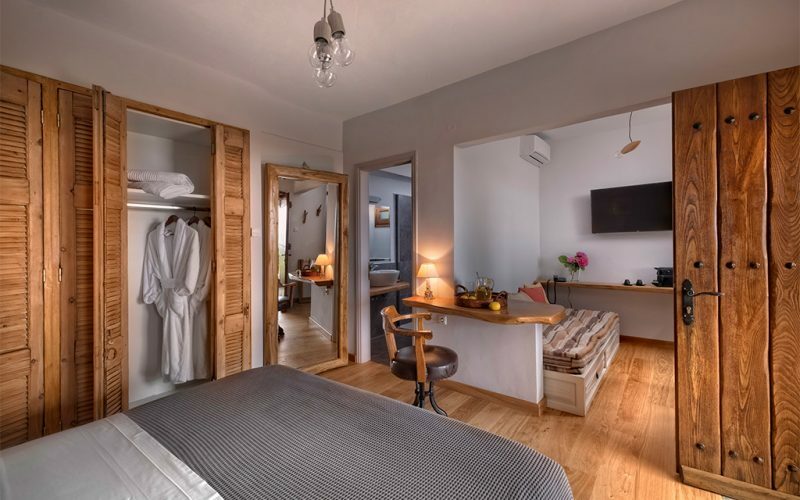 One of the finest traditional guesthouses of Pelion Greece, Sakali Mansion, after a renovation, became a hotel of high standards, quality and understated luxury in the beautiful village of Pelion Pinakates, near at hand from the city of Volos. Next to the Sakali Mansion original building, a second one was constructed in the same architectural style, giving the establishment a sense of additional comfort. Sakali Mansion accommodation complex offers a luxury experience blended with the traditional spirit of the famous villages of Pelion. 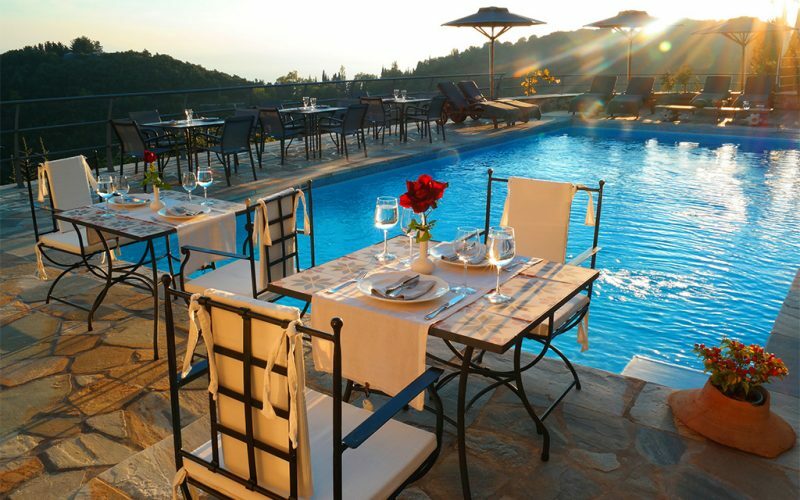 The Sakali Mansion Hotel is built in the beautiful traditional Pelion village of Pinakates. Beautiful hotel - amazing staff!